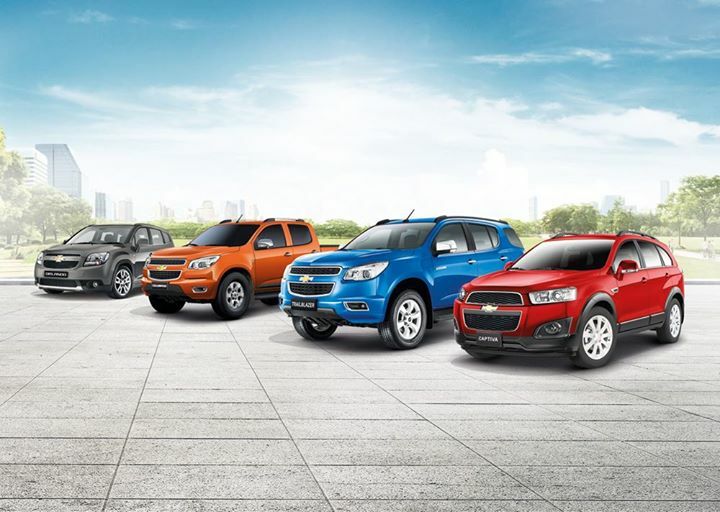 Chevrolet Philippines presents a more exciting and a more accessible Chevrolet Motorama staring this October 2015. With the theme, “Live your Dream, Drive a Chevy Now”, the Chevrolet Motorama 2015 in 50s Diners style will be held in several major mall venues and will also be accessible to more Chevrolet fans in various schedules until December 2015. New and exclusive Chevrolet Motorama easy ownership All-in low down payment offers for as low as PhP 98,000 are also up for grabs. The New 2016 Chevrolet Trax, city-smart urban SUV with a first-in-its-segment 1.4 Turbo gasoline engine and the iconic and commanding 2016 Chevrolet Suburban shall also make their first public exhibition through the 2015 Chevrolet Motorama mall roadshow series. From rock n’ roll and art deco to jukebox and neon lights, 1950s America gave birth to popular culture. Chevrolet, with its golden Bowtie badge, revved through those glory days with the brand’s iconic cars and now aims to showcase the theme as a nod to its more than 100 years of automotive engineering as it hosts this year’s Chevrolet Motorama. Already on its 6th installment, the Chevrolet Motorama invites everyone to a three month-long celebration of non-stop Chevy thrills and great ownership offers starting October 2, 2015 all the way until December 30, 2015 at select mall locations nationwide. Made even bigger and better than previous editions, the 2015 Chevrolet Motorama goes on tour to set up roving exhibitions in different malls within including the Fashion Hall of SM Megamall in Mandaluyong on October 2 to 4,2015, SM Mall of Asia in Pasay, Glorietta in Makati and Solenad in Sta. Rosa, Laguna and more. Car display roadshows in different areas outside of NCR will also be set up in different regional locations. The exhibit will feature Chevrolet’s latest line of road conquering vehicles such as the award-winning , Chevrolet Trailblazer 4x4, Trailblazer 4x2 LTX and Chevrolet Colorado Tracker edition. The ‘Motorama on Tour’ also offers consumers a first look at the city-smart urban SUV, the 2016 Chevrolet Trax, and Chevrolet’s iconic large SUV – The Chevrolet Suburban. Chevrolet Philippines and its 23 dealer partners, puts forth dream deals for easier ownership of that Chevrolet you’ve always wanted. Starting October 2, 2015, ownership packages for your dream purchase is now within reach through Chevrolet’s all-in, low-down payment promos on the compact SUV Captiva for as low as P98,000, the stylish multi-purpose Orlando for as low as P118,000 , Chevrolet’s powerful mid-sized pick-up - the Colorado for as low as Php119,000 and the award-winning mid- size SUV, the Trailblazer LTX variant at P168,000 and LTZ variant at Php188,000. Ready for adventure and ready for fun, the Chevrolet Trailblazer beats with a 2nd generation Duramax turbo diesel engine. The line’s 2.8 liter variants produce an impressive 200 horsepower and 500 Nm of torque, making the Trailblazer the most powerful vehicle in its class. The Trailblazer LTX and LTZ each come equipped with features such as a built-in dash camera with 32GB memory, and a reliable Tire Pressure Monitoring System (TPMS) to keep drivers blazing safe on the road. Standard features on the LTX model also include rugged yet elegant 18-inch alloy wheels, premium leather seats, rear back up camera with rear sensors. Each LTZ variant also comes equipped with Chevrolet’s MyLink infotainment system that features touch screen technology and media connectivity through Bluetooth, AUX, USB, and Siri Eyes Free. The LTX AT variant’s Android Infotainment System is made even more versatile with a free* one-year 4G internet connection powered by Globe Tattoo and comes with built-in apps like Waze and Spotify. Chevrolet Philippines also assures its customers of a worry-free ownership experience by offering a special warranty that covers units for three years plus a two-year extended warranty for the vehicle’s Powertrain or 100,000 kilometers, whichever comes first**. Chevrolet also provides its new clients with free three-year 24/7 roadside assistance. By simply dialing 328-CHEV, owners may avail of vehicle support, personal assistance, and information service round the clock. This and much more surprises including freebies, affordable low down payment offers, and test drives are all in store at the 2015 Chevrolet Motorama. Promo offer lasts from October 2 to December 30, 2015.